Today’s photo was one of the locations where we shot for the Newest Photography Tutorial! Here’s a preview of it! This is a cool hut we found on a mountain in Wanaka. I think it’s called the Bob Lee Hut. We were up here shooting a segment for the video you see above… one amazing thing about NZ is that there are about 1,000 of these huts scattered all over New Zealand and they’re all free or at least a very low price! I think this one was $30. Yeah, people just bring their own sleeping back and snacks and camp out inside. I think this one slept about 12, but there were only three of us this night. Everyone is also very good at cleaning up after themselves… I’ve never seen a mess left behind. If you’re a Passport Member, you’ll see a little video on how I make these photos below. It’s a simple trick. Well, kinda simple. And, this trick doesn’t always work, so I show a good workaround! By the way, if you want to know more about the Fine Art series, visit www.TreyRatcliff.com. Some of these photos below are newly printed and on display in downtown Queenstown at SLOW. Stop by and have a look! I don’t get a chance to see all my art hangings, but whenever I do, I often set up to take a photo of the photo. I think it’s interesting to share how people place these in their living or working areas. They read much differently when they are huge in large format. For some reason, even though I think I am above a mediocre photographer, I can never quite capture a photo of the photo, so I need to do a little photoshop action to recreate the scene! And here’s one of my favorite photos (now sold out) hanging in Sir Michael Hill’s home. Want to see how today’s photo was made? Watch the video below! 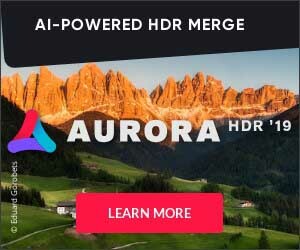 Here are some links I mention to get Aurora HDR 2019 and to join our Facebook group! My original plan was to stay here for two nights, but I ended up just staying one night. It was actually a very small little town and you could easily see the whole thing in just half a day. I am glad I stayed the night though because everyone really clears out around sunset to get the bus back to the main town. Today I’m sharing a free Passport video with everyone. If you’re a Passport Member, then you get access to over 100 of these videos and a new one every Sunday! Some of my favorite ones are the six videos I released from Antarctica where you get to see all sorts of behind-the-scenes tomfoolery! Here’s a video I recently made that shows how I edited a photo from a location very close to where I took today’s daily photo. Of course, I used Aurora HDR 2019 to do all the editing. I came to this place with one of my worst plans, but it totally worked out! Planning for this Japan trip was very difficult because I was going to many remote towns that a) do not take online booking b) where I stay in small hotels where no one speaks English. This makes getting reservations directly almost impossible! I tried to get reservations via the bilingual concierge at the Ritz-Carlton in Tokyo, and even though he was very resourceful, he said it was 100% booked. But I decided to go anyway and knock on every door of every ryokan until I found a room. I knew it would be hard because nobody speaks English in these places. Anyway, after I knocked on the door of ryokan #4 I finally found a room! Even better, they had private baths fed by all the steaming water from the nearby hot springs. It was incredible to be soaking in steaming hot mineral water while watching snow fall all around me. Every week on this same day we bring you a new episode we filmed in Africa! Remember to pop over to our Africa Photo Workshop page if you’re interested in the next one! As for the video, in this one, you’ll get some fun quadcopter action and a few post-processing tips too! When I look back on photos like this, it reminds me to get out and shoot more in the rain! It’s not gonna kill me, ya know? What’s a little bit of water on your head and camera? Both can take it. The head was built to be waterproof as long as you are above the waterline. And sure, you get a little wet, but, in 47 years, I’ve become a total expert at drying myself, right? Maybe one exception is when it is really cold… don’t want to get into the hypothermia zone, like I am probably in right now in Japan! Want to get the whole tutorial for Midnight in Paris? It’s a great and full collab I did. Here’s the video preview! What a cool idea this was, if I do say so myself! I decided to do a workshop right outside of Paris and we rented this whole chateau for a few days. It wasn’t actually as expensive as you might think. It was a little weird for a few reasons. One is that a family was living in one of the corner rooms, but we never saw them. Also, about half of the rooms were abandoned and there was all kinds of creepy stuff inside. It made it even more creepy when we pictured that the family was living in one of those creepy rooms. Time to decide fast, because it’s time for the Complete Photography Bundle from 5DayDeal. It’s packed with photography resources which are 100% brand-new. No repeated products. Period. There are over $2,500 worth of products for just $89. This year it includes two of my most awesome new video tutorials, one for total photography beginners and the other for drone newbies, who will quickly get addicted to this fun new form of photography and videography. Elsewhere in the 5DayDeal product, you’ll find courses on Lightroom, Photoshop, model photography, color grading, wedding photography and even zero gravity product photography. Seriously. And if that isn’t enough, a portion of every sale goes to charity. Everyone wins! 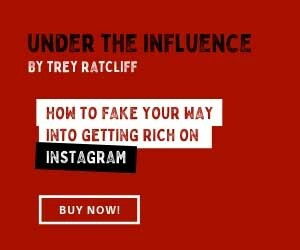 Click here to grab it now, all of the products can be downloaded immediately. Aurora HDR 2019 Launch Day! Today’s the Big Day that Aurora HDR 2019 is ready for download! Come grab it pronto in our store. Last year, we won Apple’s App of the year, and that was very unexpected and exciting. We have over 3 million downloads from their store and our stores, so it looks like we really hit a nerve for this thing. It’s especially great for beginners that want to add a special look to their photos. The new features include noise-free results immediately, no halos, better for interior architecture shots with bright windows, new HDR sliders, and better processing for RAW files. I have a TON of videos I recently made that show off all the features over on YouTube.